Call us at 850.296.7674 for a free assessment. Downtime due to IT problems can cost your business $$$. 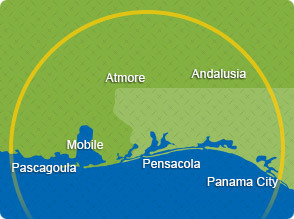 Our team can be on-site quickly in the central Gulf Coast from Pascagoula to Panama City. We guarantee an on-site technician within two hours.